Highfield International, We’re an award-winning organisation that focuses on developing globally renowned qualifications, training materials and e-learning that develop skills, change attitudes and improve safety. We are the international branch of Highfield Qualifications – a top 5 UK awarding organisation and winner of the Federation of Awarding Bodies ‘Awarding Organisation of the Year’ award 2018. Based in Dubai with an office in Abu Dhabi, we offer regulated, international and accredited qualifications and specifically designed programmes for delivery outside of the UK. 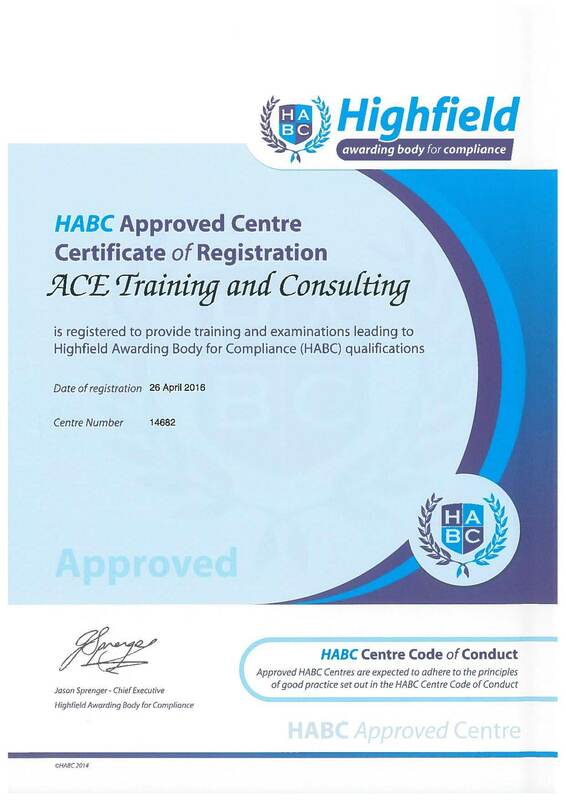 Highfield international-approved centres have access to over 250 qualifications designed to enhance the career prospects of learners while improving safety and enhancing knowledge and skills. Our qualifications cover multiple sectors including catering, manufacturing, retail, education, construction, hospitality, leisure and many more. Advanced Career Excellence Training and Consulting is a Highfield International approved Training provider.